There are some questions in this universe which remain eternally mysterious. For instance, the existence of aliens or the probability of an afterlife. And of course the true identity of ‘Becky with the good hair’. Becky and her notorious tresses first outraged the world after being mentioned in Beyoncé’s song Sorry, from her 2016 visual album Lemonade. The immortal line ‘He only want me when I’m not on there / He better call Becky with the good hair’ gave a partial identity to Jay-Z’s mistress and sent the Beyhive on the sort of witch hunt which might have felt a tad OTT in Tudor England. One name in particular has cropped up over and over: Rita Ora. The 27-year-old Hot Right Now singer reportedly got pally with Jay-Z back when she was signed to Roc Nation. Sadly, we still live in a world where close friendships between men and women are regarded with suspicion and Rita quickly became a sacrificial goat on the Beyhive’s fiery alter. She also wore a necklace which appeared to bear the letter ‘J.’ A coincidence perhaps but tongues were sent wagging left, right and centre. Triumphant social media detectives also noted the Snapchat was posted just two days before the launch of Beyoncé’s multi-award winning concept album. Now – over two years since being branded with the lemon letter – Rita is still having to protest her innocence. This is despite Rita and Beyoncé taking a sweet selfie together at the 2016 Met Gala, captioned ‘family,’ shortly after Lemonade dropped. Hey, all I want to say to that is, dude, if I were Becky with the good hair, wouldn’t I actually have to have good hair? Look at it. It’s all weave and extensions. Nobody can ever say anything wrong about that woman in front of me. I get emotional just talking about it. Saturday night rehearsals for the Girls Tour got me like….. I have a beautiful wife who’s understanding and knew I’m not the worst of what I’ve done. We did the hard work of going to therapy and you know, we love each other, right? So we really put in the work. For years, this music I’m making now is the result of things that happened already. Like you, I like to believe we’re in a better place today. But we’re still working and communicating and growing. And I’m proud of the father and the husband that I am today because of all the work that was done. 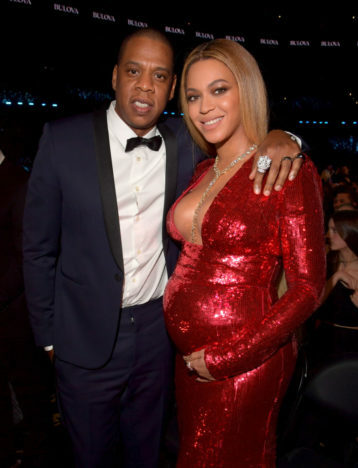 The power couple appear to have moved beyond the rapper’s hurtful actions, raising an adorable family together and turning their pain into music. However, ‘Becky with good hair’ still remains a target of hatred for the Carter’s global fanbase. What will Rita have to do to convince them otheriwse? My Next Guest Needs No Introduction.